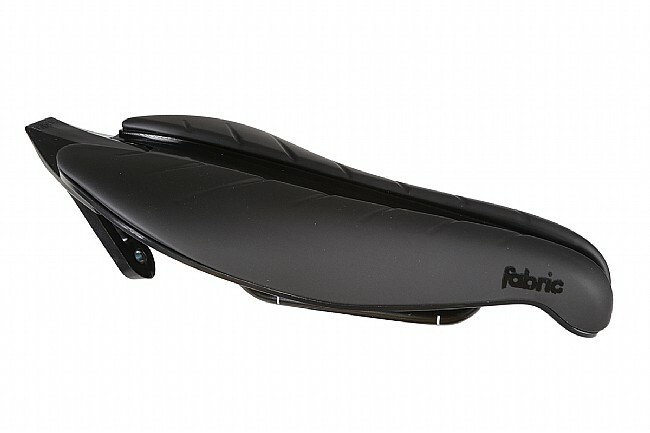 Fabric's Tri Elite Saddle features a pressure-relieving center channel in combination with a shorter triathlon-specific shape to keep time-trialists riding comfortably at mach speed. A blunt-nose lets the saddle and the rider sit farther forward on the bike to achieve an optimal position, and an integrated bike-hanger plus clip-on bottle cage mount on the back shows this saddle is all business. Using their unique bonding process, the Tri Elite Saddle's waterproof microfiber cover is molded to the supportive PU foam without the use of staples or glue. On bottom, the cro-mo rails are hollow to reduce weight, and the nylon base is tuned to flex in sync with your pedaling without feeling slack. 134 mm wide x 267 mm long. So far, so good. Not the cushiest of saddles, but surprisingly comfortable for the lack of padding. 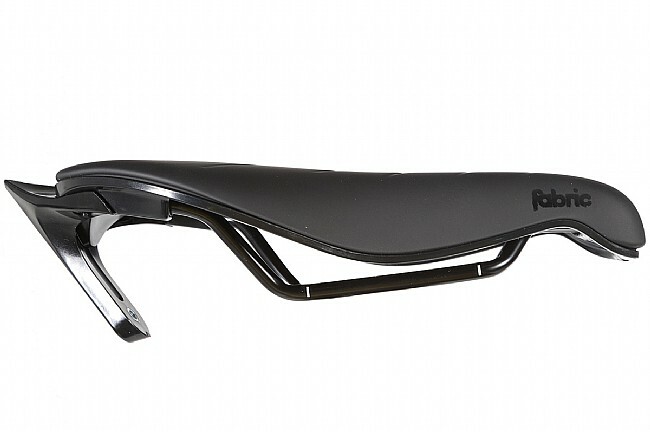 This saddle is a terrific value and well built. It includes features similar to the more expensive tri specific saddles, such as short nose, rack mount area under nose, bottle cage mount. the quality seems very good. 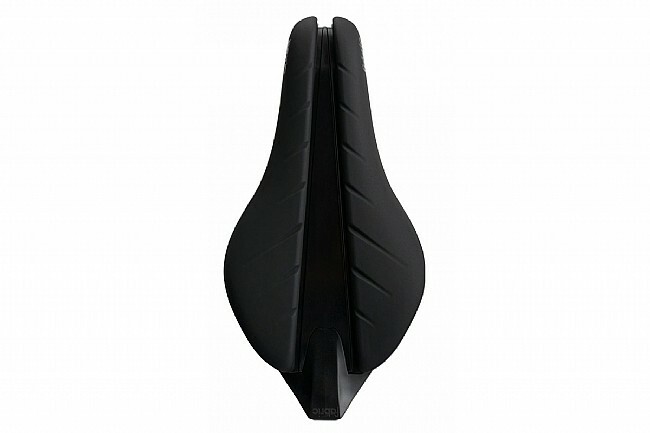 the fit is nice and narrow, but the saddle does have a little more slope than some of the other tri saddles so you may need to adjust it differently.